Muskie Vs Pike | FISHING FURY - A Fishing Blog with Attitude! 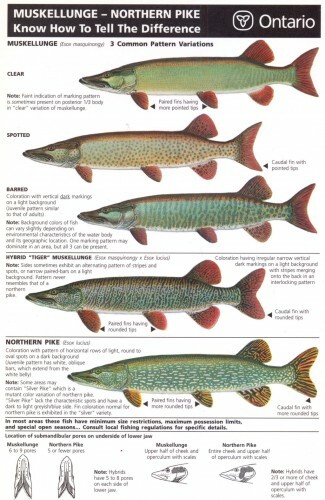 Have had a ton of discussions with various fishermen about spotting the differences between pike and muskie. I’ve even been told that the pike I’ve caught are muskie, which simply isn’t true. While there are some similarities between pike and muskie, there are many differences as you can see in the image below. 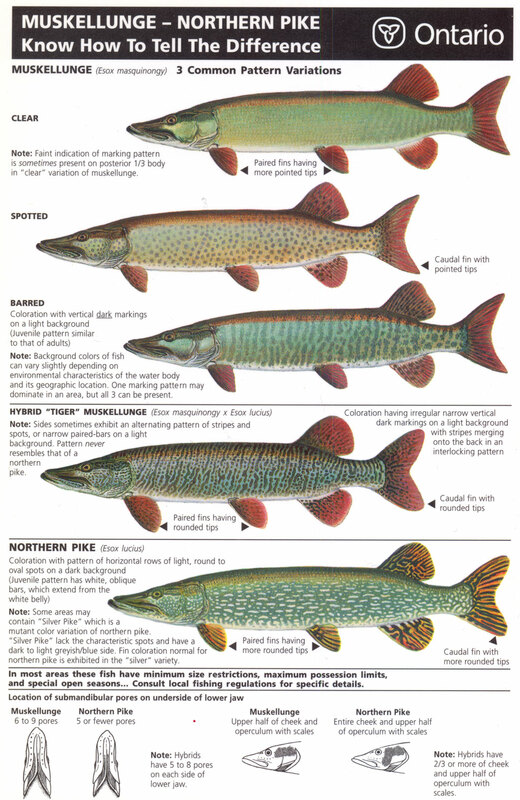 It’s important to know the difference becuase fishing regulation differ greatly for pike and muskie. When I saw the title I assumed it was another Spike TV show….World’s Deadliest Fish. I can never find this card in English in Ontario.